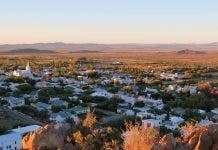 Karoo towns are never the first choice for those seeking the bright lights. Prince Albert, though, is an exception. It’s worth waiting until dark to drive down the main road and wait until the magic moment just after dusk, when the neon outside the Showroom Theatre flickers to life, highlighting its distinctive Art Deco lines. In fact, this entire theatre is something of an anomaly. What is something this sophisticated, this classy, this cutting edge, doing in a Karoo town? More to the point, why is a 140-seater theatre thriving in a small dorp when professional theatres in big cities are struggling? The Showroom is the dreamchild of Johnny Breedt, a movie designer whose work you may have seen in Hotel Rwanda, Paljas, Catch a Fire, the Number 1 Ladies Detective Agency and most recently, the award-winning Long Walk to Freedom. He has just finished on the first film he has directed, Die Ontwaking, starring Gys de Villiers. But Johnny’s first love was the stage. He started in theatre long before he got into movies, and he’s always dreamed of having his own. Johnny bought a house in Prince Albert 17 years ago. He had been shooting Paljas in Oudtshoorn and drove over the Swartberg Pass on a day off. 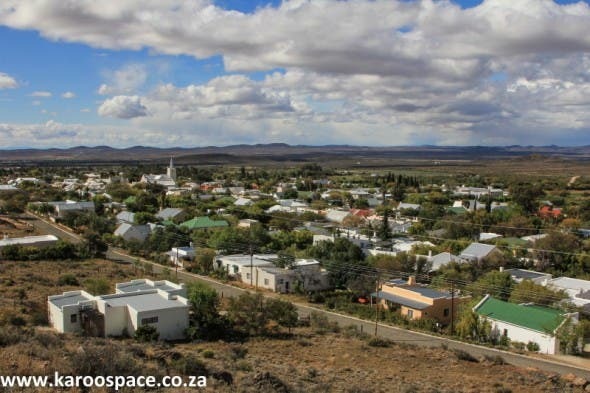 He fell in love with the little town, and returned to the Karoo house often for holidays. Six years ago he moved there full time. Three years ago, the obsession re-awoke in him to build a theatre, the perfect theatre. One that artists and audiences would love. He and his business partner Charon Landman, previously from the construction industry and the woman behind the success of the Swartberg Hotel, started looking for land. Initially they looked for property in the industrial area, but for a number of reasons, the right location never presented itself. But then an old building on Prince Albert’s main road came onto the market. It wasn’t anything you’d look at twice. Originally built in Victorian style nearly a century ago, the building had been changed with each new owner over the decades and its various incarnations as a tractor repair shop, filling station, general dealer, restaurant, home and Toyota dealership. 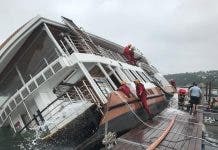 By the time it came onto the market, its Victorian lines had pretty much vanished. There was a faint hint of 1940s elegance though. Johnny and Charon picked up on the crude remnants of the Art Deco look. 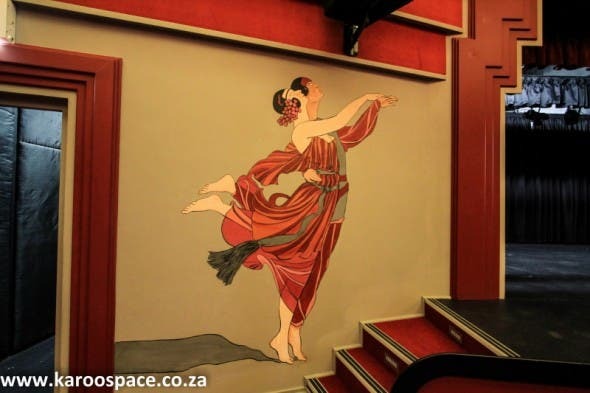 “To me theatre and Art Deco are synonymous,” said Johnny. The name is a nod to its previous function as a car showroom. The theatre is a visual wonder, thanks to Charon and Johnny intense personal attention. They hunted for the right furnishings, including the chandeliers and gorgeous mirrors. It is built for legendary status. Johnny made sure the acoustics, sound and lighting are state of the art. With his experience of greasepaint and backstage, he made the loveliest ‘green rooms’ for performers, with well-lit mirrors, cupboards, toilets, a fridge. At first they were approaching singers and performers. Nianell was their first, when they launched the theatre in November 2013 to a capacity crowd. Now performers are approaching them. 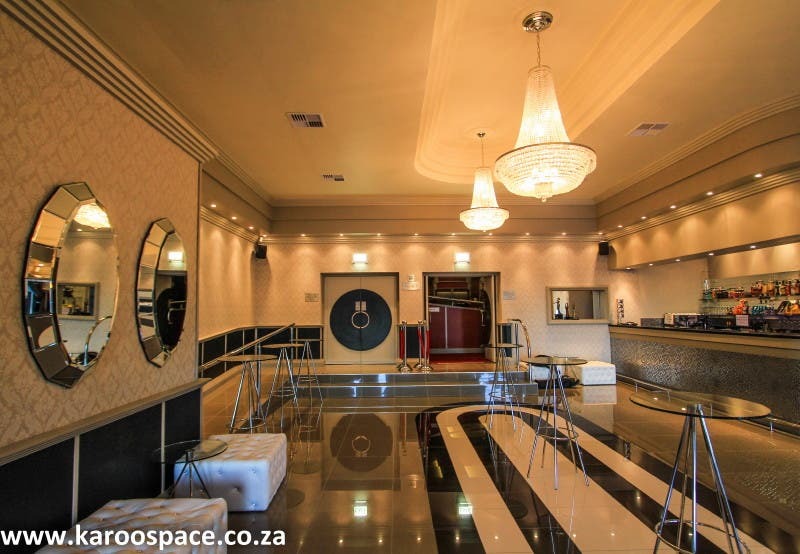 The Showroom opened in November 2013 and has eclipsed all expectations, attracting a steady stream of musicians, comedians and performances, from Valiant Swart, Matthys Roets, Chris Chameleon and Heinz Winckler to Daniele Pascal, Barry Hilton, acclaimed plays, classical pianists and violinists. 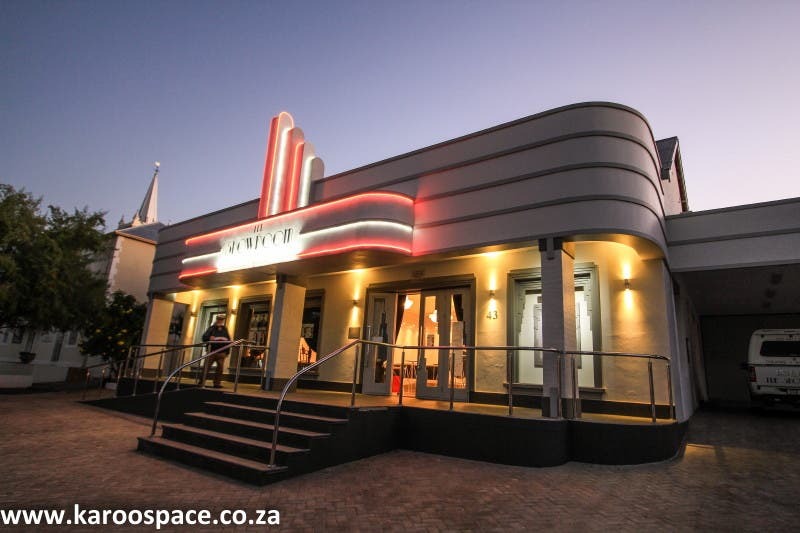 Once or twice a week, the Showroom Movie Club screens classic and art movies for R30 a ticket, which includes a drink. The secret to the Showroom’s success is not only the audiences it draws in this town, or its unexpected glamour in a Karoo street, but also the fact that Prince Albert is an easy drive for a weekend away from Cape Town and George. City people come and combine a show at the theatre with fine dining, visits to olive farms and local vineyards, and stargazing. But Johnny doesn’t only want the larnies to benefit. 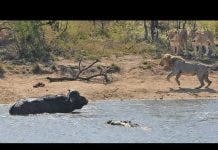 Recently he brought in a group called the Jaloers Bokkies and gave away some complimentary tickets to policemen, hospital and prisons staff too. And there are lots of plans. 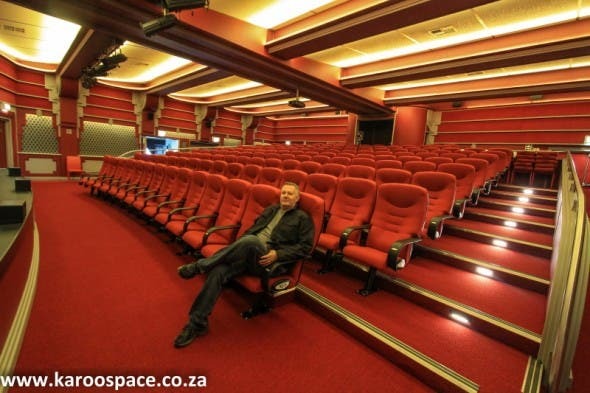 The Showroom people are plotting a Great Karoo Film Festival. And workshops on experimental theatre and film. The theatre is perfect for fashion shows and launches. Watch this elegant space…. 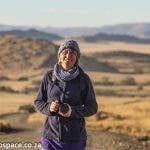 Julienne du Toit and her husband Chris Marais run www.karoospace.co.za, the definitive website on the Karoo region of South Africa. They are also the authors of Karoo Keepsakes I and II (print), owners of an e-Bookstore on Karoo Space and have a new book 'Moving to the Platteland – Life in Small Town South Africa' - order by sending co-author Julienne an email to info@karoospace.co.za. Julienne and Chris live and work in Cradock, in the Eastern Karoo.